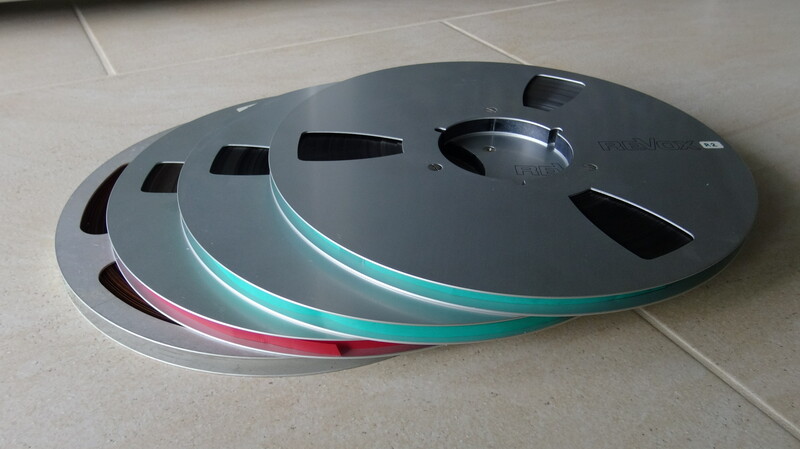 Most readers who grew up with 35mm slides – as the standard of the day for high quality projection in the home – will immediately feel the emotion of those days and the frustration since, of attics full of slide boxes. Digitization of slides has become easy with inexpensive dedicated slide scanners – however what we once considered “high quality” is relegated to our illusions and rose-colored memories! More recent generations might still recall museums and exhibition displays using multiple carousel projectors to create panoramas and pseudo “movement” as individual projectors were programmed to change slides in rapid succession. 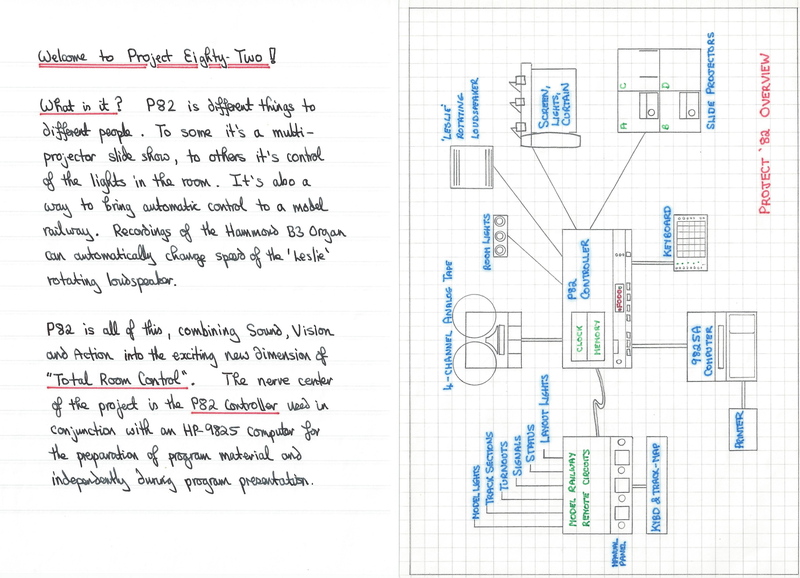 Yours truly was fascinated with that concept to the point of designing and building, not only a quite sophisticated controller for multiple projectors, but also for controlling other elements of the room in which the “show” would take place. 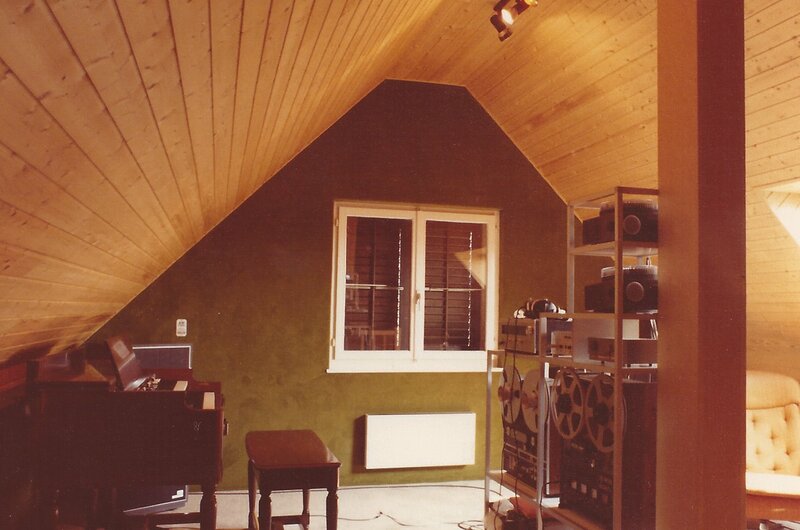 Our attic room was dedicated to the project – with a large projection screen, curtains, houselights and spotlights – all of which were programmable along with the projectors. 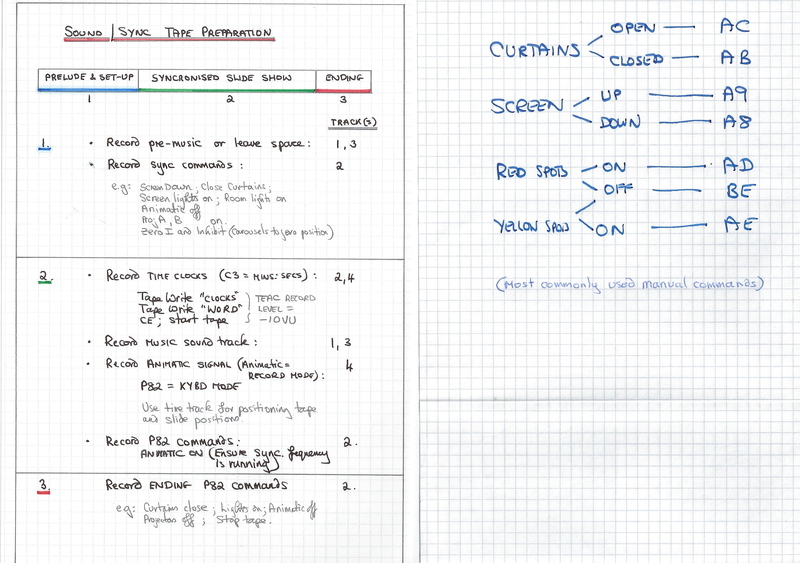 The system worked well with two projectors; the design embraced four projectors but cost and time truncated further progress. 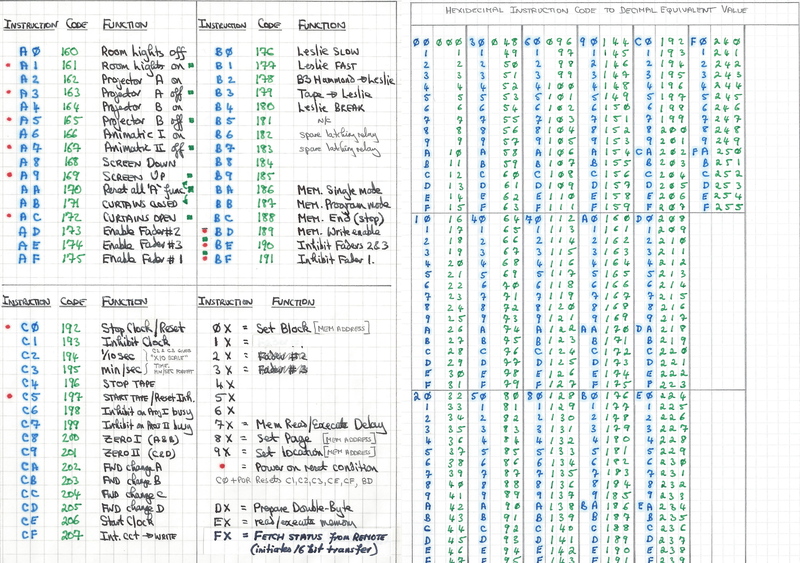 Fully-functioning, totally-automatic “shows” were run, each about 20 minutes long each with variable time fade-in / fade-out, stereo music and commentary. Both projectors would completely “reset” to the beginning of their carousels ready for the next showing. 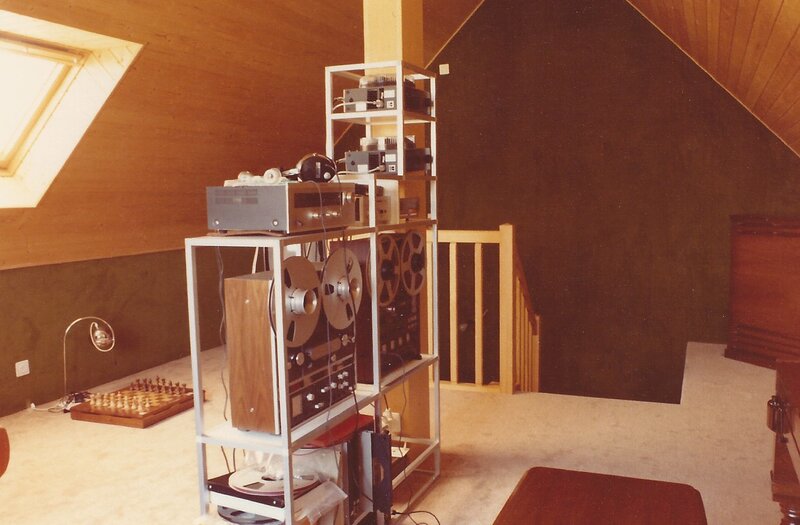 Programming was recorded on one track of a 4-track/4-channel quarter inch tape (the TEAC which figures in many posts of this blog). 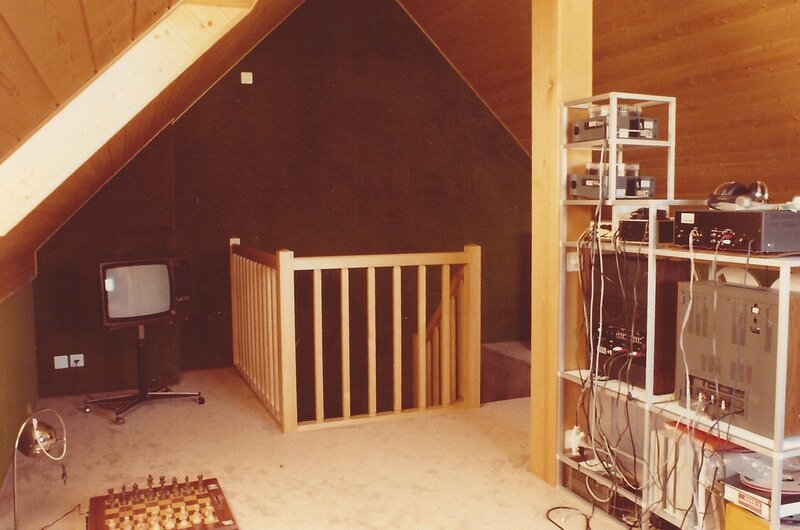 The project was conceived for the control of many devices, and so was appropriately named “Total Room Control“. 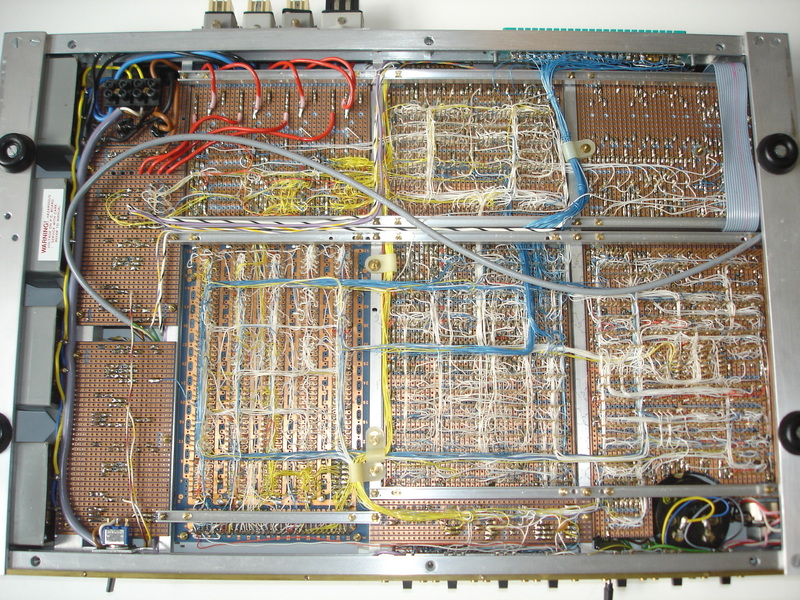 In 1982, using chip technology prior to that of large scale integration, the whole design was absolutely from scratch, using widely-available C-Mos components. 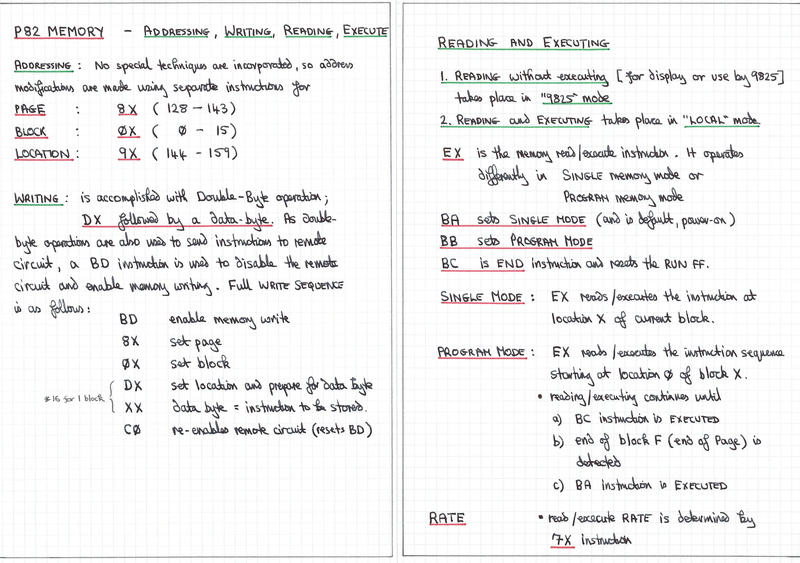 It included an internal memory and programming instruction set so that no external computer would be required for operation *. 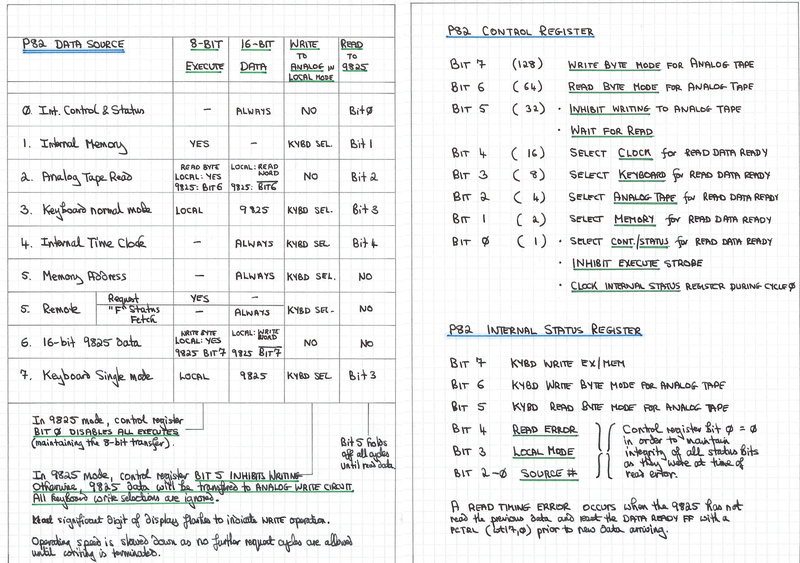 Many would call it madness, but to an electronics engineer it is known as a challenge ! 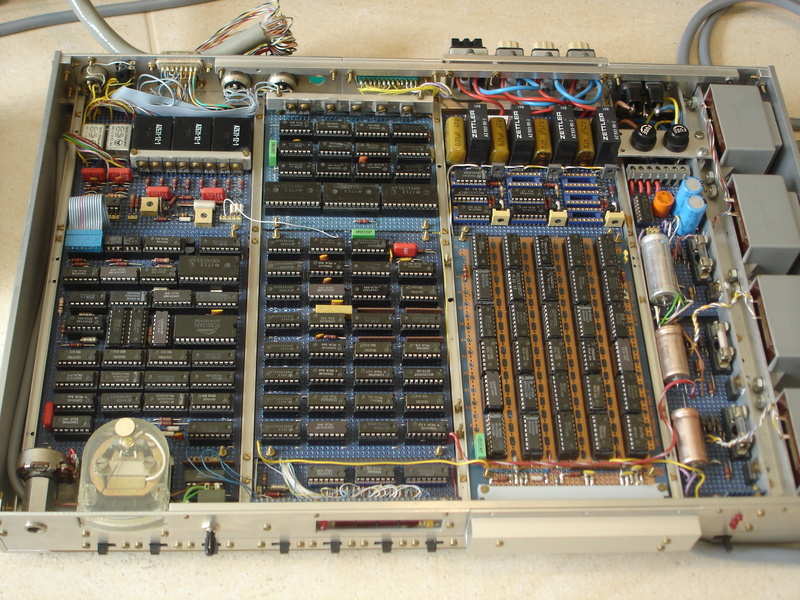 *No external computer is required for operation, however a rather special computer of the time helped in the design, and to emulate circuit operation before committing to construction using integrated circuits and discreet parts. 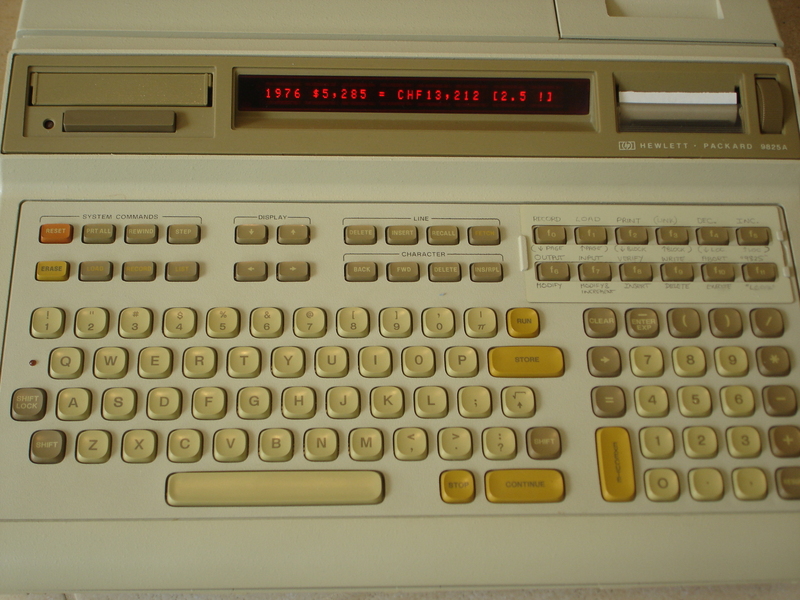 The HP 9825 was used (which, a few years earlier, had been a substantial investment- 13,000 CHF !) 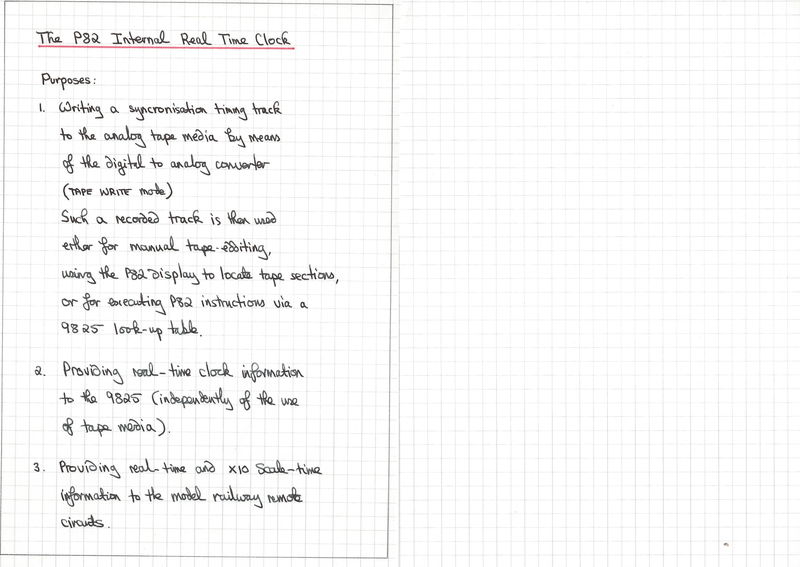 The programming language of the 9825 allowed amazing timing control to the single bit level, and so with the optional 16-bit in/out card, real emulation of a circuit design was remarkably straight forward. A oscilloscope with only a 2-channel vertical amplifier made digital circuit development slower, but without it the work would have been impossible. 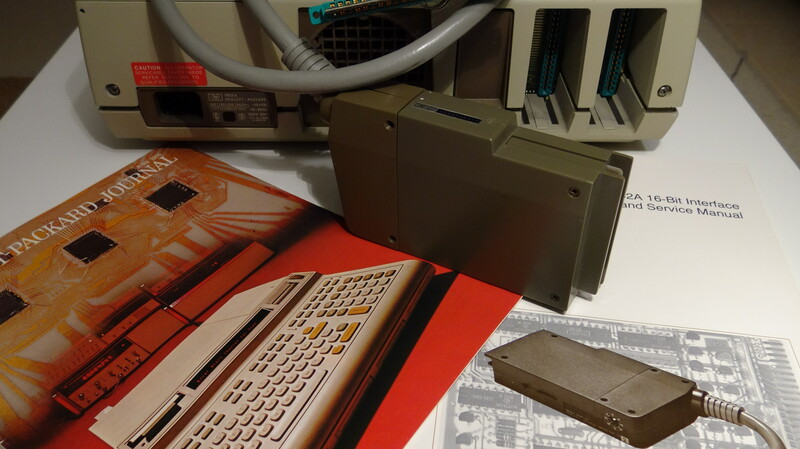 The 9825 computer had a strip thermal printer built in, we added a full page thermal printer (left and behind in the picture). For pages to keep, they were photocopied; but Xerox pages of that era don’t last forever either ! *No external computer is required for operation, however the HP9825A c0nnected via a 16-bit parallel input/output slot can take over complete control or aid in creating programming sequences. It would be particularly useful in operating devices where the device itself gives real-time status feedback (unlike the slide projectors which basically obey orders). 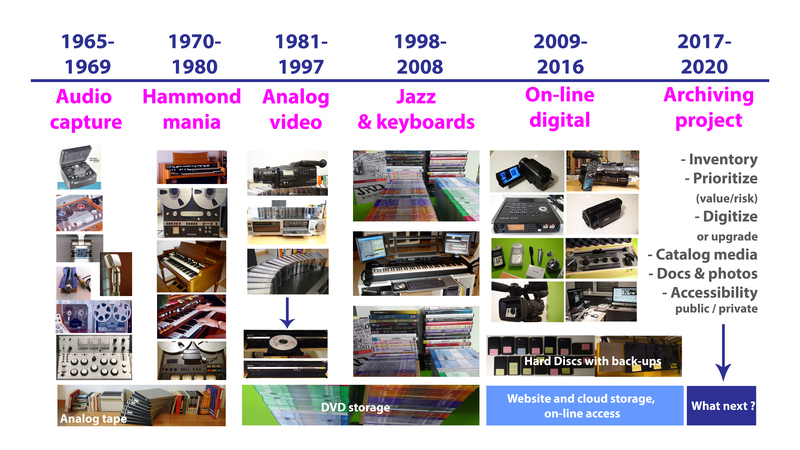 So what about digital archiving ? Apart from the satisfaction of accomplishment and the historical interest of this project, there is no real “digital archiving” rational for the slide shows themselves – except for saving a few images in digital form for use in new media productions (most early photographs of equipment you see on this website were taken with slide film and scanned for our archive). 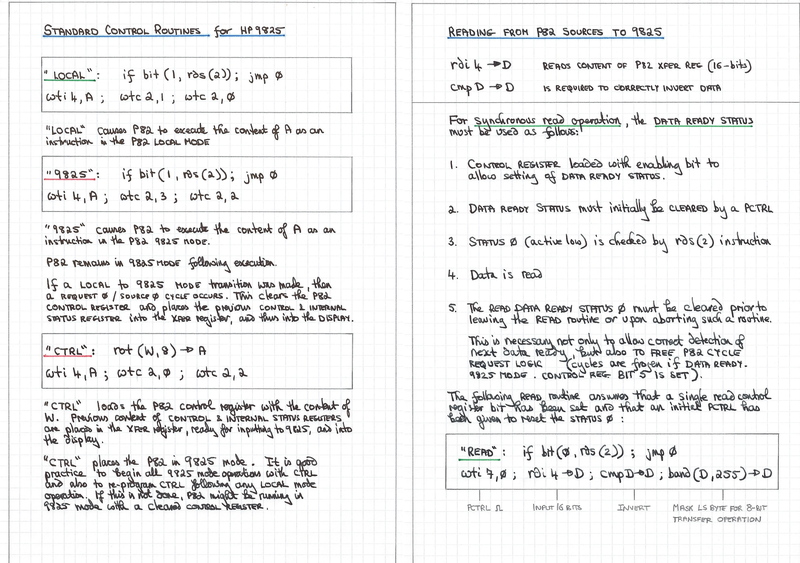 But what is noteworthy in archiving terms, is the ability to scan, save, and bring to this website, the extent of the documentation made in the first half of the 1980’s – made mostly by hand drawing and writing. 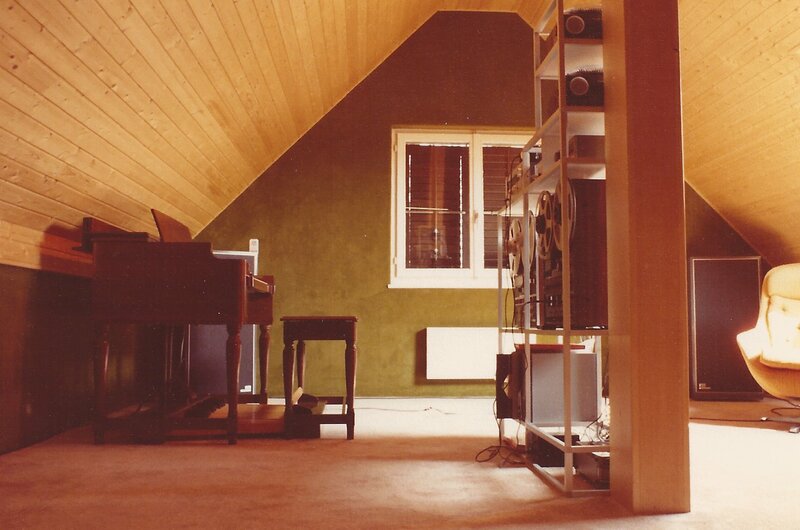 Once in the new house with dedicated attic, the foundation of the crazy “Total Room Control” project was laid. 1. Power and room light switching located in the central column. 2. Empty cable pipes from the center (where the control unit and audio system would be located) to all four corners of the room, and to where the screen was planned to be (however, the screen would finally be installed at the window end of the room where it could be larger, and from where it could be more comfortably viewed). 3. An open rack to allow development access to all equipment prior to considering a permanent furniture housing. Note the television – a new colour model, yet good evidence of why slides were a desirable media, and that the effort to create a good viewing installation for them was considered worthwhile ! 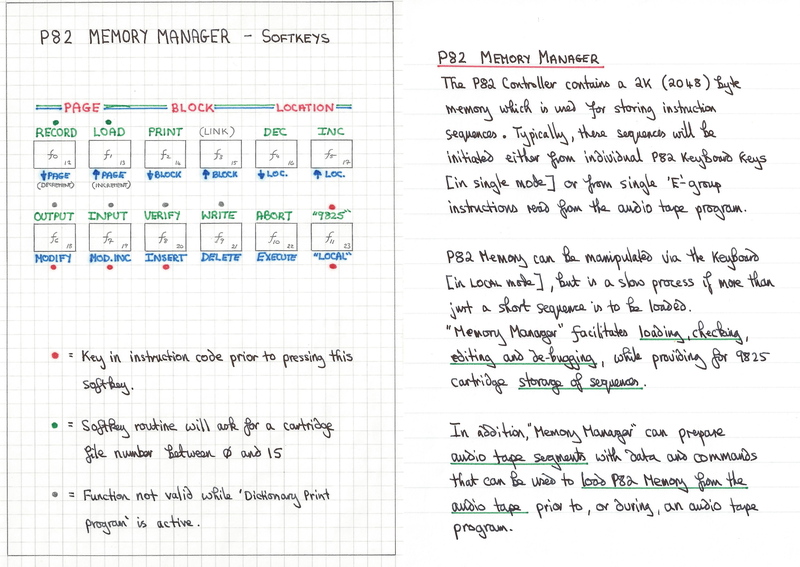 Here is the P82 handbook, original 1985 format was A5, hand-drawn and written. 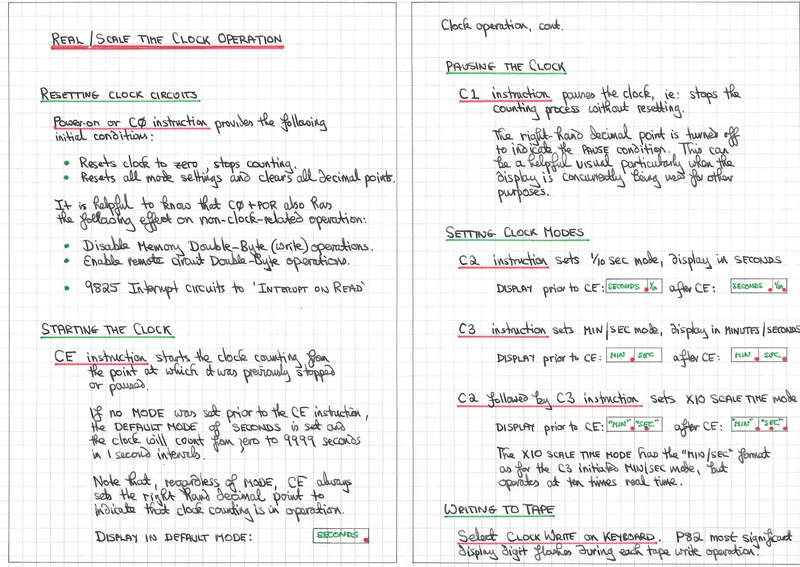 Click any thumbnail to see the whole book in “slide carousel” format (what else?) 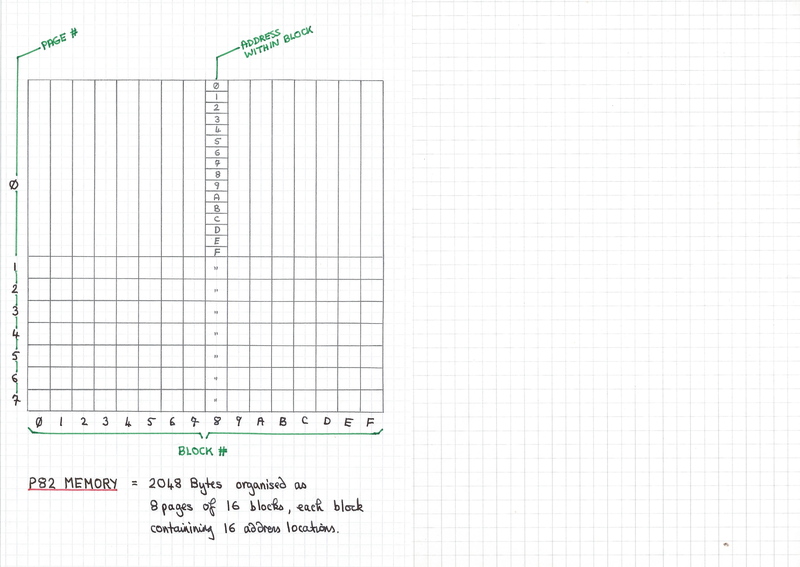 For techy readers interested in this piece of history, there are full design details – every circuit and programming structure is documented – contact us for password access.